The Royal We Would Like Some Tea… Please! 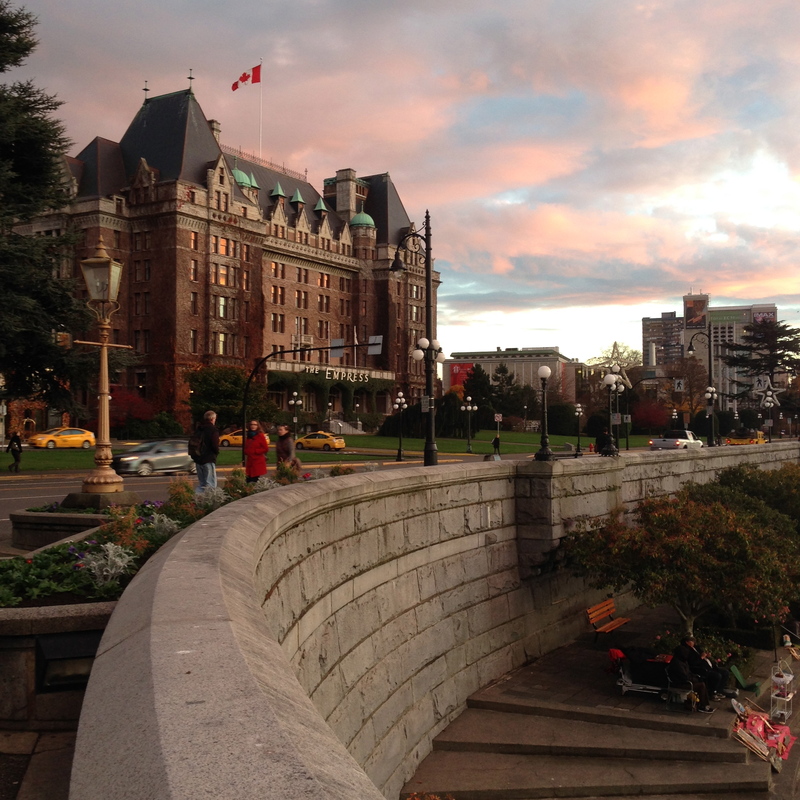 The Fairmont Empress in Victoria, BC is a fancy hotel indeed! Their afternoon tea comes highly recommended, and I would certainly agree. It is said that the tradition of afternoon tea began in the 18th century with the Duchess of Bedford. The Duchess complained of a recurring “sinking” feeling in the afternoon and requested a pot of tea and a light meal to combat her afternoon slump. The idea quickly spread across England, and continues to be a popular ceremony in modern times. Hundreds of years later, The Fairmont Empress estimates that they serve around 500,000 cups of tea each year – impressive. After a long and busy travel season at work, I was ready for some traditional English indulgence, but first I needed an extra dose of courage. While I am quite comfortable going to sit down dinners, the movies or museums on my own, for some reason Afternoon tea seemed to be a whole new level of solo adventuring. With a little bit of coaxing from friends, personal confidence searching, and calling the Fairmont to be reassured that it would not be weird to go on my own, I found the nerve needed to make a reservation. I soon realized that my worrying was for not, as it is perfectly normal and acceptable to attend Afternoon Tea on your own. 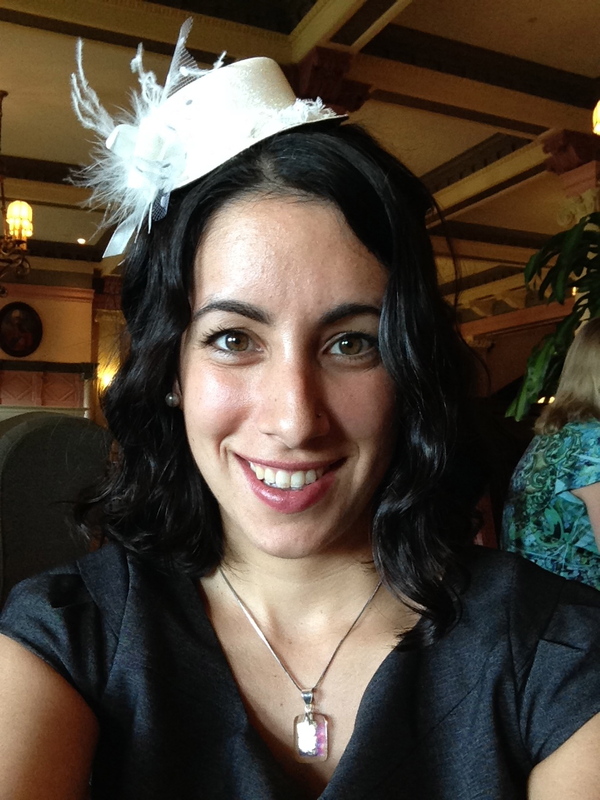 Fascinators are not included in the dress code but I advocate rocking one, simply for amusement. I garnered numerous smiles and happy nods on my short walk down the streets of Victoria, bound for the Empress. 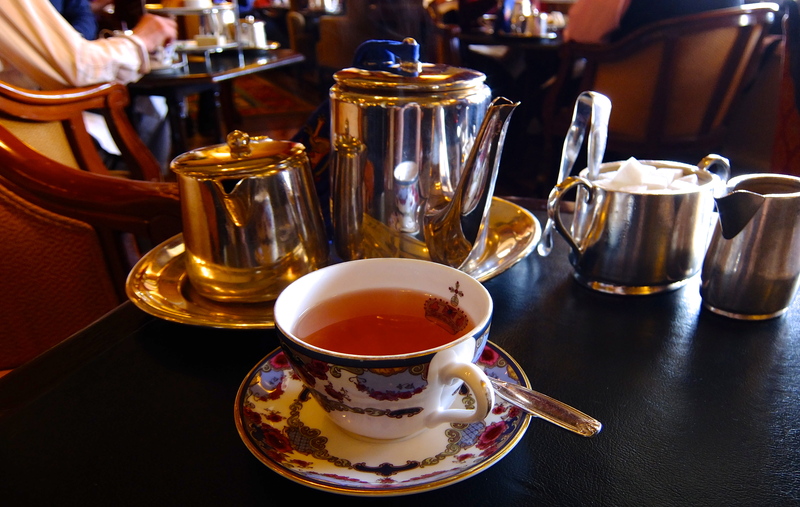 When I arrived at the hotel, the doorman smiled and said, “you must be here for tea.” After navigating my way through the exquisite hotel to the tearoom, I was seated and provided with a menu. Since I am not a caffeine drinker, I chose the Kea Lani Orange Pineapple Tea . 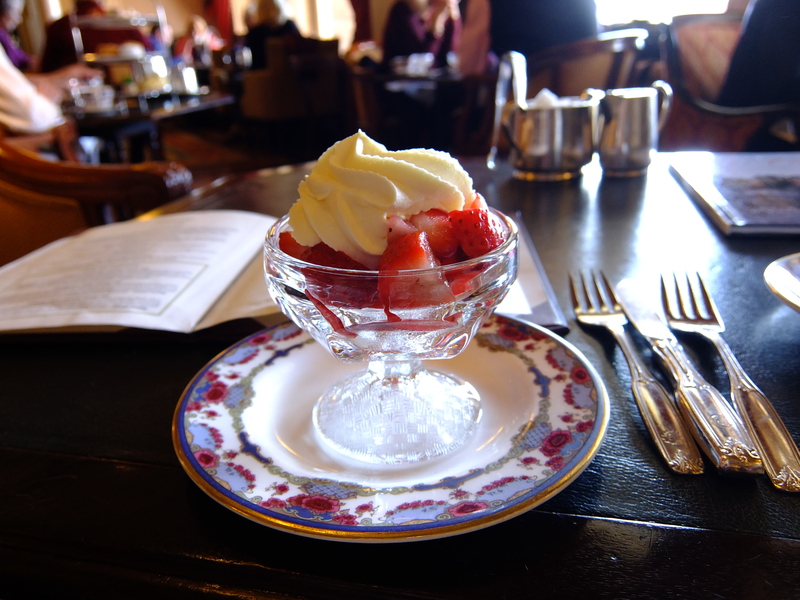 After taking my order, my waitress promptly returned with the first course – fresh cut strawberries with empress cream. Both strawberries and cream were divine. Then came my tea in a massive pot just for me – one of the benefits of going on your own. For someone who usually boils an electric kettle to pour over a cheapo tea bag into a stained dollar store mug, it was quite the lavish experience. 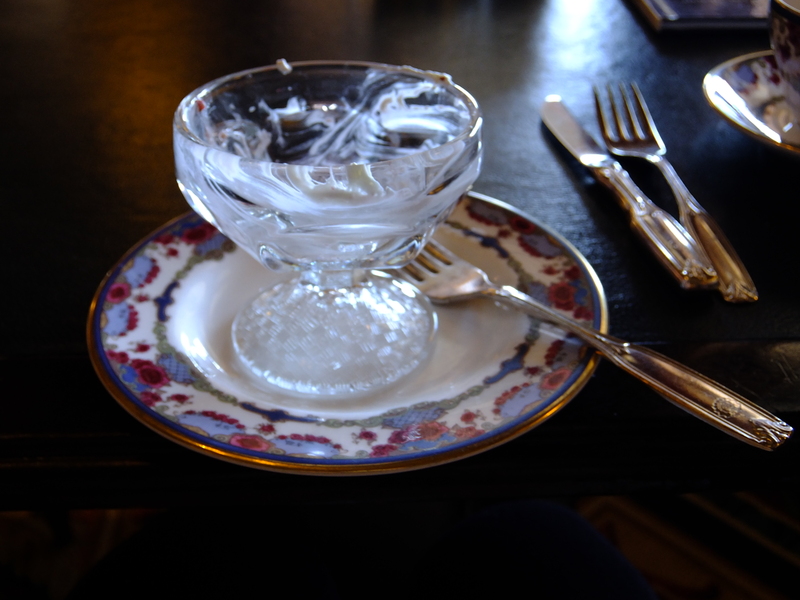 The tea was served in fine bone china. Apparently bone china is best because it allows the tea to cool to the ideal drinking temperature, resulting in optimal taste! The tea was light but flavourful and each time my cup was getting empty, my server topped me off. While sipping and relishing the view of the Inner Harbor, a live pianist serenaded the guests – pure elegance. Luckily I was ravenous when my food arrived because there were no less than three tiers of sweets and sandwiches! Lower Tier: Smoked salmon & herb cream cheese pinwheel, mango& curried chicken on dark rye (my favourite), cucumber sandwich with saffron loaf, free range egg salad croissant, and cognac pork pate on sun dried tomato bread. Middle Tier: Freshly baked raisin scone with strawberry jam & Empress cream. Top Tier: Cappuccino chocolate teacup, rose petal shortbread, devil’s chocolate and pistachio Battenberg (my other favourite), lemon curd meringue tart, and assorted Parisian macaroons flown in from France. Those words alone are delicious enough to eat, let alone the actual treats! Afternoon tea is NOT recommended for those on a diet. Arrive with an empty stomach, and leave with pure relaxation and bloating. Don’t worry if you can’t finish everything, as they will provide you with a little take home box, and some complimentary Empress tea to wash it down with at home. I conquered most of my meal, with the exception of half off my egg salad sandwich, and one of the macaroons – which I ate later that night. Finally, I finished my delightful day with a walk along the Inner Harbor. 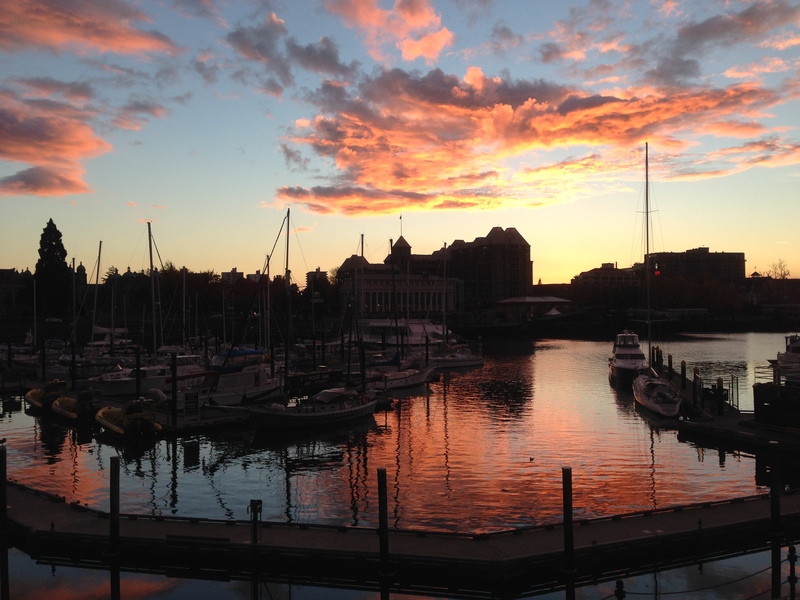 Sigh- take me back to Victoria… oh wait, I will be going back in February again for work, score! What a great post! I love that you went for tea solo in order to not miss out on the experience (some are to shy/nervous to do so). You rocked it! 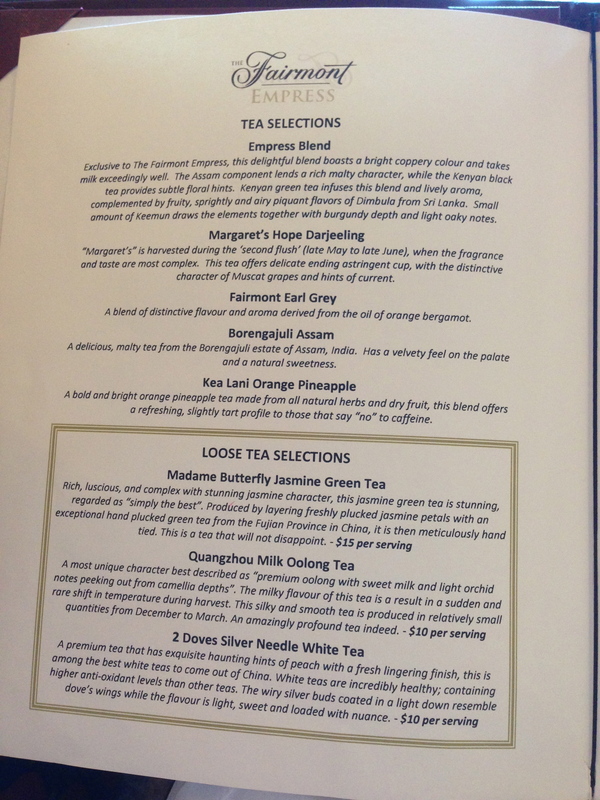 I feel lucky to live in Victoria – it has so many fun tea venues. Thank you! I so glad that I went. I cannot wait to go back to Victoria and try some more places 😀 what a beautiful city!